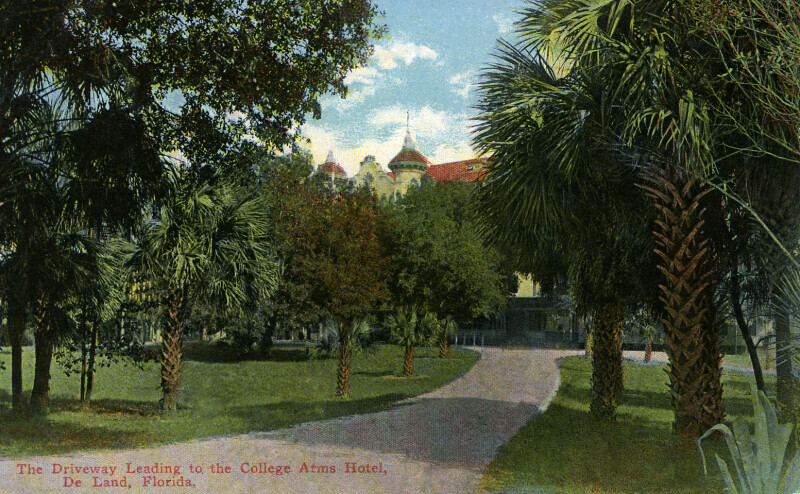 The grounds of the College Arms Hotel are heavily planted with palm and deciduous trees. A narrow road approaches the front of the hotel. The building is largely obscured by the greenspace, the façade appears to be flanked by two round towers.